I have been licensed by the Florida Bar to practice law since 1992. For over twenty years I have devoted myself exclusively to the practice of providing transactional and counseling legal services to health care clients. 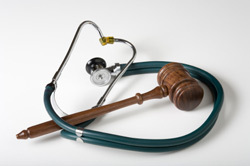 I have been certified by the Florida Bar as a specialist in health law for over ten years. My transactional practice includes, but is not limited to, representing clients who are establishing, operating, buying or selling health care businesses, such as medical group practices, ambulatory surgery centers, diagnostic medical centers, ancillary medical service providers, nursing homes, assisted living facilities, and rehabilitation centers. My counseling practice focuses on representing health care providers regarding regulatory issues involving the federal and state anti-kickback laws and self-referral laws, the fee-splitting laws and HIPAA, and drafting all types of contracts for the provision of health care goods and services. I have extensive experience assisting medical group practices preparing employment agreements and establishing compensation formulas and other arrangements that are consistent with the “Stark” and anti-kickback laws and that enable the practice physicians to lawfully profit from ancillary medical services. I have also prepared corporate compliance programs and HIPAA privacy practices programs for a variety of types of health care providers. Before establishing my own law firm in 2003, I was the head of the Florida health law practice of the national law firm of Duane Morris, and before working at Duane Morris, I worked at the national law firm of McDermott, Will & Emery, which is among the largest health law firms in the United States. I have also served on the board of directors of a medical malpractice insurance company. I believe that there are many good health care attorneys in Florida, but a client’s best choice is an attorney that is responsive to the client’s needs, who develops a strong relationship with the client, and who balances the client’s legal needs with the needs of the client’s business. Unlike large firms that will represent any client, I limit my practice and the number of clients I take to ensure responsiveness and quality service. I am confident that I would make an excellent addition to your team of professional advisors.